← Saranac Lake Winter Carnival Now in It’s 117th Year! A Robert Burns Festival in Cazenovia! 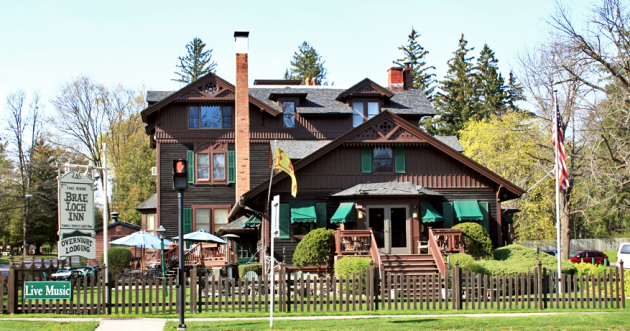 The Scottish-themed Brae Loch Inn in Cazenovia hosts a Celtic Celebration in tribute to poet Robert Burns on January 24-26. Come and enjoy strolling musicians, games, step dancing, poetry readings, scotch tasting, costume contests, and lots of bagpipes! And don’t miss the traditional Address to the Haggis! Challenge the "Mustang Madness Corn Maze" This Weekend in Cazenovia!In "Madison County"
"Wizard of Oz" Comes to Life in Chittenango at Oz-Stravaganza This Weekend!In "Madison County"
This entry was posted in Madison County and tagged cazenovia, robert burns night. Bookmark the permalink.